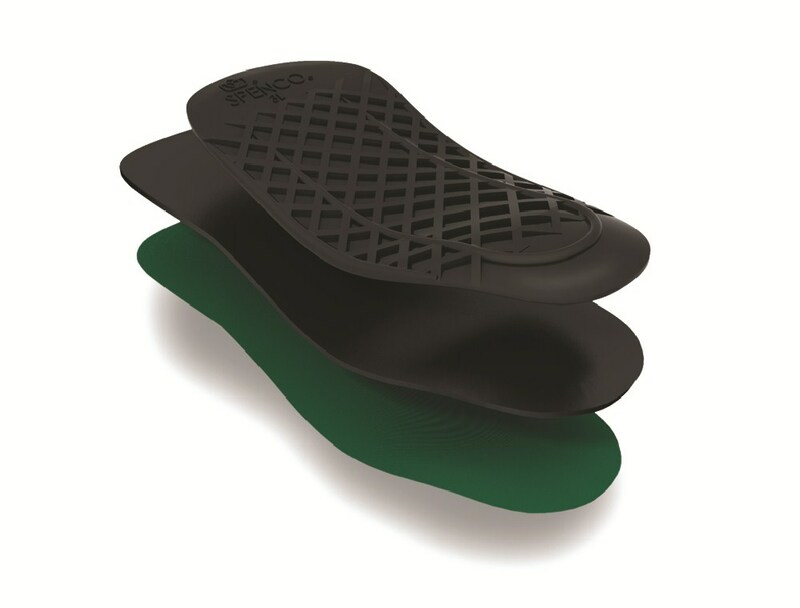 The Spenco Rx 3/4 Length Orthotic insoles are shoe inserts designed for people with flat, low, or fallen arches. The 3/4 length insoles allow the orthotic to fit in a wider variety of shoes without any trimming: ¾ length gives additional toe room in tighter fitting shoes. The Spenco Orthotic Arch Supports Help control, stabilize and balance the foot. They are heat moldable for a custom fit. 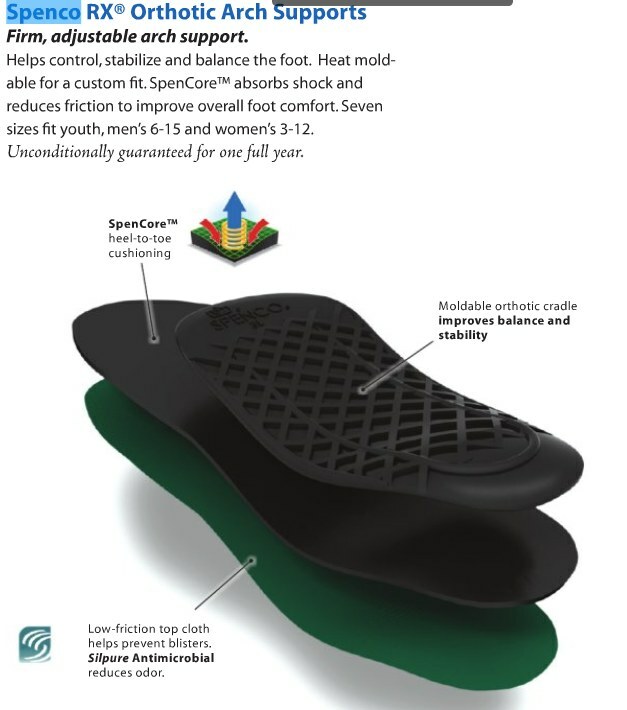 SpenCore™ absorbs shock and reduces friction to improve overall foot comfort. Treatment of arch pain. May be molded for a custom fit to support high arches. To help reduce pronation and supination for improved stability. Choose ¾ length for additional toe room in tighter fitting shoes. Air injected Spenco® Material Exclusive cushioning layer absorbs shock and impact to provide maximum comfort. Moldable Arch Insert The flexible plastic arch insert helps support and control the foot. 7 Sizes for correct arch placement for better overall fit, comfort and performance. 4-way Stretch Fabric with Ultra-Fresh Silpure Antimicrobial helps prevent blisters while controlling odor. Consumers with flat, low, or fallen arches. Consumers seeking firm arch support to control foot position. Best used in: Casual and athletic shoes (or boots). Place in shoes, green side up. Trim with scissors if necessary. Adjust the shape of the orthotic by placing in boiling water for 2 minutes and then bending to desired shape. Caution: Do not handle heated orthotic without protecting your hands. Use gloves or a towel to reshape. Allow orthotic to cool before placing in shoe.